Social media marketing is the use of social media platforms and websites to promote product and service. We are currently living in the golden era of social media. 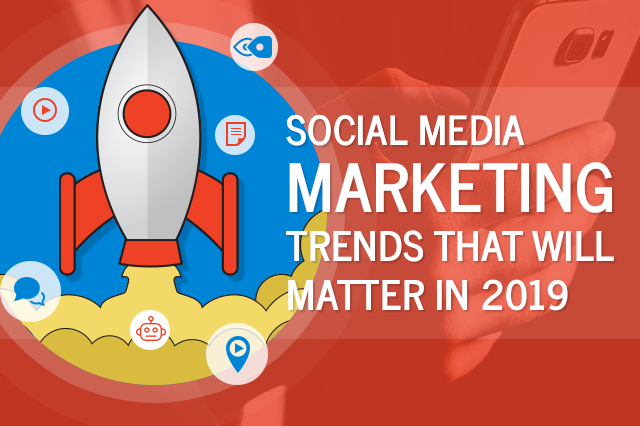 There are over 3 billion active social media users, people spending hours and days on social media on average that transformed the whole concept of marketing since the time of its inception. Today every business have a opted to stay active on social media to get in touch with their audiences. Big companies have a team of social media managers working day and night for maintaining social media images and marketing strategy on company behalf. On the other hand, small businesses do not rely on social media experts due to lack of funds to invest in marketing, But this does not mean small business cannot build their brand value on the social media platform. Do you need help getting started with your social media marketing strategy? Do you know what to include? This article aims to help small business or startups to build their brand value towards the audience. The main objective of every business is to identify the goals, you simply can not move forward without knowing what you’re working toward. Study deeply and closely at overall your business needs then decide how you want to use social media to contribute them. And you’ll come up with some personalized goals, there are few goals companies should include to social media marketing strategy like boosting brand awareness, building a reputation, retaining customers. The success of your social media marketing depends on the ability to connect customers and you need to understand their pain interests, motivations, and their content needs. Knowing your audience whom you are reaching will help company focusing on strategy. There’s saying in marketing “ Be there, where your audience are”.Concentrating on audience persona will help you who your audience are. Once you have done with identifying the audience you know what social media platforms they are active on. Go ahead and target those social media platforms which is most popular choices among the people. Many businesses create social media accounts without researching which platform will bring more return. According to a recent analysis, people spend more time on Facebook and Instagram, rather than Twitter and LinkedIn. Choosing the primary will be a good idea. When it comes to social marketing, researching will give you ideas to implement your business, start compiling 4-5 competitors on what platform they are working on, analyze their content strategy. Look at their number of followers, posting, etc. Pay attention to what type of context they are posting and its context, how they are responding to their followers. After knowing your audience and their favorite social media platform next important thing is to create interesting content. Without content social media is meaningless, you should have good content with detailed information, the audience will understand what the content is all about. There are three important components of social media any successful social media content strategy i.e type of context, time of posting, the frequency of posting. So, how well did you do on your social media strategy? Without continuously analyzing your efforts, you’ll never know how one campaign did over another. However, having eyes on every social media activity will give you a clear picture about marketing strategy, so keep analyzing on your plans and effects as well as keep making bettering your earlier plans. If you want to achieve social media success, the importance of authenticity cannot be overstated. social media gives you the opportunity to show your audience who you are, not just what you sell. Develop a brand voice that brings a human element and some personality to your social media pages. Look at all strategy that leads toward company vision then assigns the social media marketing budget. Create a list of those social media tool you need during marketing, calculate the annual project cost. Most of the business create budget first then strategy compatible to the budget. But some goes in the opposite direction. Every team should know their task and responsibility for better performance and avoid misunderstanding in the beginning things will difficult but when the time goes all team member will better understand their roles. When everyone knows his or her role it’s time to run the planning process. Use a different tool for management and assigning task for every member, tools help to become more organized and saves the time. Being responsive to your audience that helps in building a relationship with customers. Responding audience on their queries and interacting with them through social media. Being active on social media keeps posting on social media will grow your more followers. Thus, Social media marketing is a great platform for every business to be on a digital platform which helps audiences to know presence on social media platforms, results in more followers and more revenues. And the above-mentioned elements will help you to include in while strategizing social media marketing. 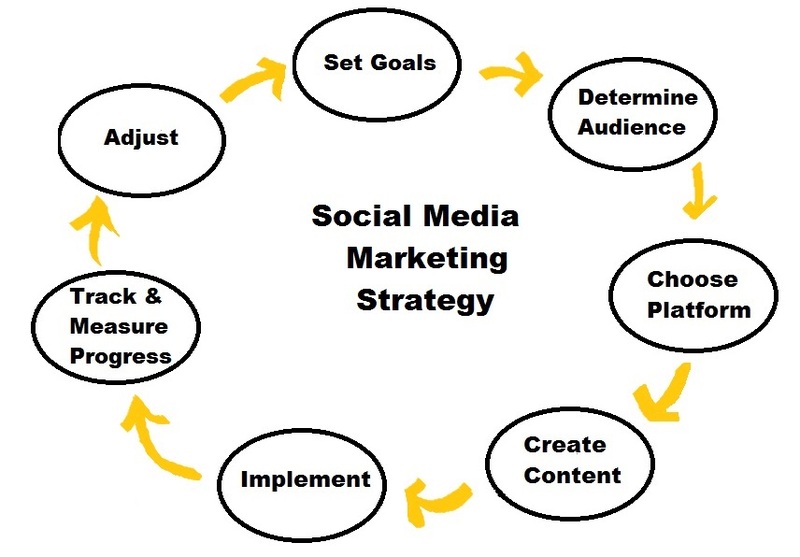 So, in your opinion what are the other social media marketing strategies to include? Comment below.